Need Local Guidance Before Starting Off Your Independent Trip? Kumi was a great guide, very knowledgeable about our tour as well as teaching us many Japanese customs and traditions. 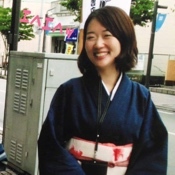 She as absolutely fantastic with our children, 6 and 5 years old, and we would not hesitate to recommend her to anyone seeking a memorable experience in Japan.